Michael Ball has been taking a break over the Christmas and New Year period before he heads back to London’s West End to play the title role in the Sondheim Musical Sweeney Todd which opens at the Adelphi Theatre in March. He also has a new album Love Changes Everything: The Collection which is due for release on 16th January. Tonight you can hear him profiling composer Leslie Bricusse in Pure Imagination: The Leslie Bricusse Story on BBC Radio 2 tonight at 22:00. This follows the Friday Night Is Music Night special in December which marked Bricusse's 80th year, with West end stars John Owen-Jones, Hannah Waddingham and Mike Jibson singing a great selection of his songs. 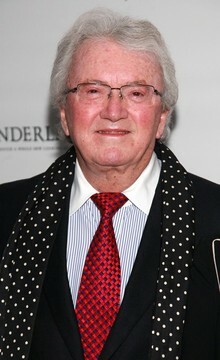 Leslie Bricusse is a London-born writer, composer and lyricist who has written the book, music and/or lyrics for more than 40 musical films and plays during his career. He has dozens of awards: multiple Oscars, Grammys, Tonys and Ivor Novellos, and is one of only a handful of British songwriters to be inducted into the American Songwriters Hall Of Fame. He has worked with many talented contemporaries including Anthony Newley, Henry Mancini, John Williams, John Barry, Jule Styne, Quincy Jones, Andre Previn with a catalogue of songs including Goldfinger, Feeling Good, You Only Live Twice, Pure Imagination, If I Ruled The World., The Candy Man, My Kind Of Girl for Matt Monro and musicals including Stop The World I Want To Get Off, and The Roar of The Greasepaint The Smell of The Crowd. He now lives in America and at the age of 80 still continues to compose words and music. Contributors on Pure Imagination include Sir Michael Caine, Michael Winner, Joan Collins, Sacha Newley, Liza Minnelli, Nancy Sinatra, Robert Wagner, Michael Feinstein, John Williams, Julie Andrews, George Hamilton, Petula Clark and Leslie Bricusse.